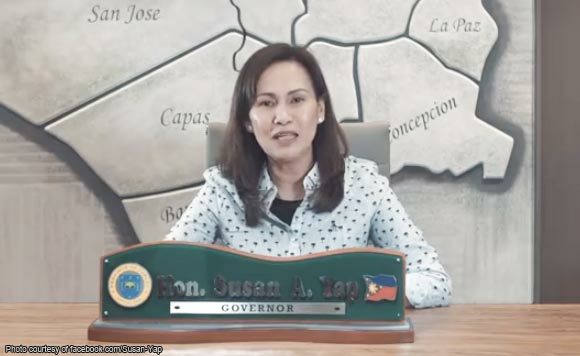 Tarlac Governor Susan Yap expressed appreciation Wednesday to the Malasakit Center project of senatorial aspirant Christopher Lawrence “Bong” Go, which has been opened at the Tarlac Provincial Hospital. The center, which Go has launched in various other medical facilities across the country, was inaugurated yesterday at the Tarlac Provincial Hospital. On her Facebook page, Yap said the project is a fulfillment of Go’s promise during a visit in the province in December when he attended the province’s Barangay Health Workers Congress. “Napakalaking tulong para sa ating mga mamamayan,” Yap said of the project. She went on to thank not only Go, but also Presidential Assistant for the Visayas Michael Dino, and President Rodrigo Duterte. Go is Duterte’s personal assistant.